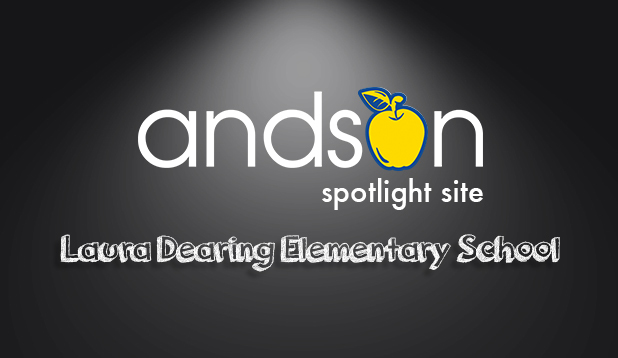 Laura Dearing Elementary School is one of four schools in which Andson partners with CCSD through PASS (Proficiency Academy For Student Success) funding. This is a collaborative effort between the school and Andson to meet specific school improvement goals as outlined in PASS grants.All the students participating in the Andson program at Laura Dearing have shown significant improvement in their academics. We are proud to highlight DeAnn Sheehan, a 30 year teacher from Goldfarb Elementary, as our February tutor of the month. If you were to make the transition between lands of lush green to vast lands of the desert, you’d be following a similar route that DeAnn took when she began her journey into education. Between traveling to complete her schooling, while at the same time exploring ancient wonders, DeAnn has experienced many different cultures, which have shaped who she is as an educator. “I especially enjoy visiting ruins and museums. My two favorite ruins that I have visited are Ephesus, Turkey and Pompeii, Italy. I would love to teach overseas when I retire,” she said. DeAnn is originally from Olympia, Washington. She received a Bachelor’s Degree in Elementary/Special Education from Arizona State University, and then continued her studies at UNLV where she received a Master’s Degree in Education Administration. She has a son who attends UNLV and a lovely canine furry friend. DeAnn offers heartfelt advice to her students, gained from years of experience: “Work hard to accomplish your dreams!” DeAnn is an asset to be sought after for sure and fortunately her journey brought her to Andson! Andson operates after school programs in several locations, three of which are Zone schools: Hollingsworth, Sunrise Acres and Vegas Verdes Elementary Schools. This month, we are focusing our spotlight on Vegas Verdes Elementary School.Andson’s Homework Help and Tutoring program is dedicated to offering homework help and tutoring from licensed tutors for every student at Vegas Verdes' after school program by partnering with City of Las Vegas’ Safekey Program. The purpose is to provide academic support by assisting students directly with the homework concepts they may struggle with in class each day. Andson provides tutors and aides Monday through Thursday to work with 3rd and 4th grade students. 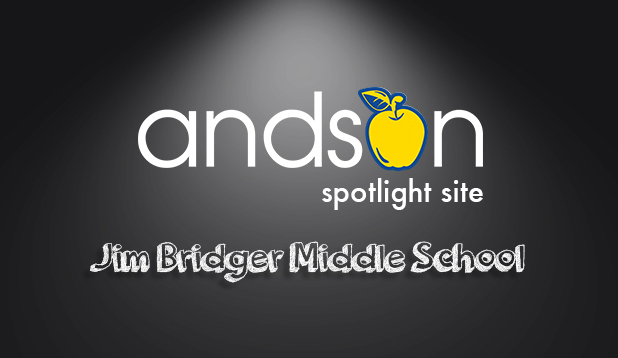 December’s spotlight is on Jim Bridger Middle School. The magnet program at Bridger Middle School provides so many incredible opportunities for the students, exposing them to careers in the fields of robotics, aerospace, aviation, biomedicine, and computer technology. Andson is committed to helping the students at Bridger reach their full potential and excel academically. By providing after school tutoring, we can ensure each student is working at grade level and is able to participate in all that the school has to offer. Please watch the short video below to learn about this fantastic partnership. Andson strives to empower students through education. There’s no better way to fulfill that mission than to hire high school students to assist our CCSD certified tutors! Ambitious high school students from all around the valley are working for Andson as Aides to help children with their homework. Andson gives these students the opportunity to gain valuable work experience and empowers them to be great. At Lied Memorial Boys and Girls Club (BGC), there are four students from Clark High School making a positive impact in the lives of the BGC members. Three of these students, Chris Luu, Shannen Tan, and Miriam Villedis, are in the Teacher Education Academy at Clark High (TEACH). They bring their knowledge about classroom management, discipline, and creating interactive and engaging learning activities to Lied BGC, where they can implement what they’ve learned. The TEACH program trains high schools students to become efficient teachers in the future – they learn about communication, brain development, diverse ways of learning, curriculum and boundaries between education and the students, and methods and management of education. It’s wonderful to have positive young people our BGC students can look up to. The fourth student, Kevin Rodas, is part of the Clark High School Navy Reserve Officer’s Training Corps (ROTC). He uses his leadership training and math skills to assist students with their homework and areas of academics they are struggling in. We are proud to have such high-achieving high school students as part of our team! With the heavy focus on data and assessment in the youth services area, sometimes it's important to take a look to the qualitative side. The results can be easier to spot and motivate staff and youth both to continue their hard work. This morning on Lifehacker there was an article featured from the blog, Ready for Zero, entitled “5 Big Mistakes Keeping You in Debt.” These articles come up often, and are usually a solid set of guidelines that most people could allude to all on their own, but don't. One reason for this in particular stands out in this writeup. They Forget to Change Their Attitude. This can be one of the hardest mistakes to make and one of the hardest to learn from. The reason is that humans don't like change. For the most part, we're comfortable with where we are right now. But for those of us in debt, usually we have to change our attitude to change our outcome. We have to start thinking in a new way and change how we look at money. The best way to accomplish this is to proactively decide how you'll incorporate new beliefs about your finances into your daily life. As adults, we’re comfortable. Most of the time, far too comfortable. It’s difficult to imagine changing one’s entire routine or lifestyle - that’s why going to the gym or finding time for a new hobby can be challenging as an adult. What’s important to remember, however, is that these barriers are considerably lower for youth. Fads, games, and even circles of friends have an amazing power to transform a youth’s behaviors very quickly. Andson works hard each day to move those behaviors and perceptions in youth to new heights - both in Personal Finance and Academics. Some days are more rewarding than others. What we’ve accomplished and witnessed this year in transformations, however, has been inspiring. A student at one site I personally oversee seemed like he was on a path to medication, an ILP (Individual Learning Plan), and perhaps even counseling or some sort of treatment. A kindergartener, he likely did not receive any early childhood development, and was a distraction to the rest of the group. In just a few short weeks of structure and personalized attention with a tutor - behaviors have changed, the distractions have nearly ceased, and he actually likes doing his homework (gasp!). Personal Finance and Academics do not have to be chore, they don’t have to be a fight - but we must take the time to invest in attitudinal change. The outcomes are clear, rewarding, and transformation can be seen on the spot. Believe me, it will come quicker for youth than for most of us adults.